Stay close to Dr. Dakota Bones when you play! 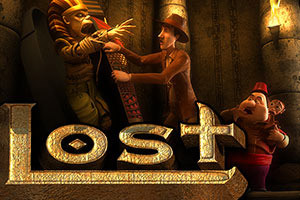 Be brave and bold to seek the world's LOST treasures traveling deep into the desert in search of pharaoh Ah-Amded and his legendary treasure vault! Get the Ax symbol on any position on the center reel to trigger the wild reel! The symbol will expand, taking up the entire center reel, serving as a 2x wild reel for all symbols except for bonus round and money "click me" triggers. Get the Monkey symbol in any position on reel 4 to trigger the Monkey Click Me feature! Join the zany, adorable monkey as he jumps around, revealing prizes behind the symbols you choose on the reels! Each time a winning combination occurs on the reels, the prize will be paid out immediately, and then the center reel will spin again for an additional chance to win more coins! Each time the center reel re-spins, the win multiplier will be increased by 1. Earn up to a 5x multiplier on any wins that occur when you get a center reel re-spin! 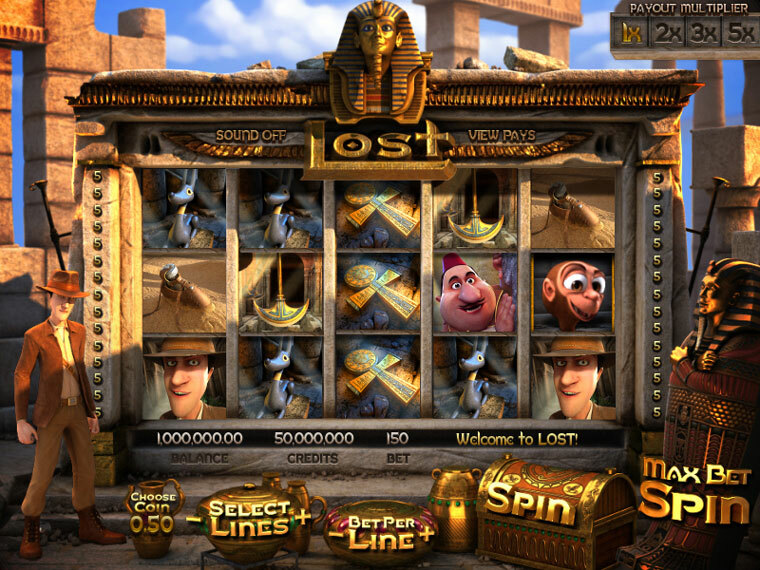 Earn 4 Eye of Ra doorway symbols anywhere on the reels to trigger the mummy’s tomb second screen bonus round. Help Dr. Dakota Bones choose a door, but watch out for the Pharaoh! Win instant bonus coin upon choosing a door.